Good news for those of you who loved composer OSCAR ARAUJO's score the 2010 hit CASTLEVANIA: LORDS OF SHADOW! As you know, this was one the highest-rated scores of 2010 at Tracksounds - video game or otherwise; earning a perfect 10/10 from Marius Masalar! Check his full review here. 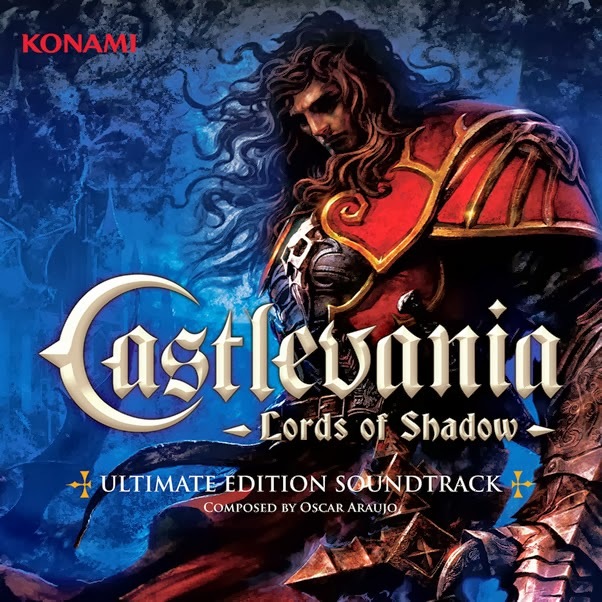 Sumthing Else Music Works has partnered with Konami and willl be releasing the CASTLEVANIA: LORDS OF SHADOW - ULTIMATE EDITION on October 29, 2013 in North America and Europe. The digital release will be available on iTunes, AmazonMP3 and other digital outlets, while an EXTENDED EDITION of the album will be released exclusively at www.Sumthing.com. This edition will include 20 minutes of previously unreleased music. Now, don't fret, there will also be a CD release on the very same day! In addition, Konami's upcoming CASTLEVANIA: LORDS OF SHADOW - MIRROR OF FATE original soundtrack will also be released by Sumthing Else Music Works on October 29 digitally and followed by a physical release in November. Finally, in Q1 of 2014, they will release the highly anticipated soundtrack to CASTLEVANIA: LORDS OF SHADOW 2! Pre-Order Castlevania: Lords of Shadow - Ultimate Edition from Amazon.